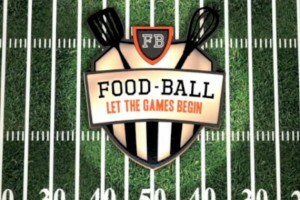 Food ★ Ball is HOT this Summer! Phoenix’s hottest new show sizzles this Summer! It’s so hot, you could fry an egg on our Season 1 trailer. See you for yourself! This is not your grandmother’s kitchen. You might need some earplugs in this place. 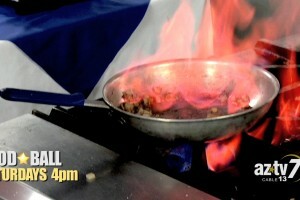 Watch these teen chefs battle it out under air horn Saturdays at 4PM on AZTV! Take four teenage chefs. Mix in two challenging courses. Stir in one spicy referee. You have the recipe for the world’s ultimate cooking competition! 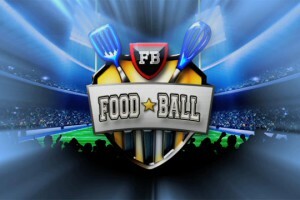 Food ★ Ball. Saturdays @ 4PM only on AZTV-7 Cable 13. Meet Chef Ref Ian, the man who enforces the rule in the Food ★ Ball Kitchen. No one is immune to his air horn or whistle on the Food ★ Ball set!! They may not always be able to cook, but these people can move! Season 1 Outtakes: Pie in the Face! Practice makes perfect, much to David’s dismay. However, Kimberly seems to be having fun!